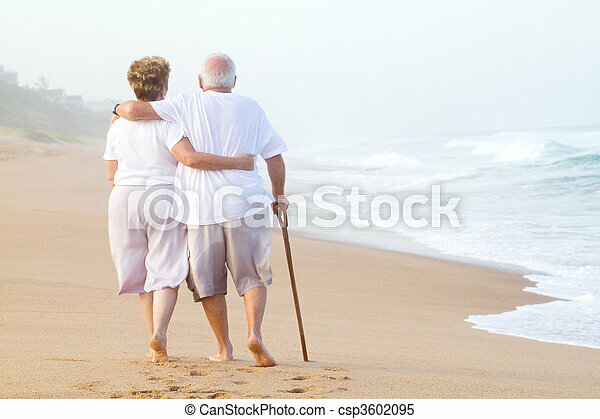 Elderly couple strolling on beach. 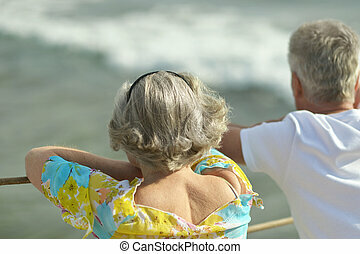 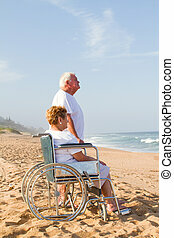 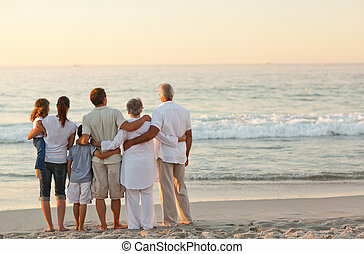 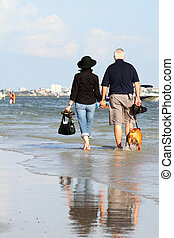 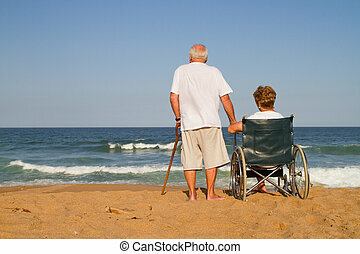 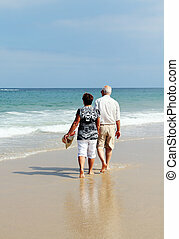 Behind view of an elderly couple strolling on the beach together. 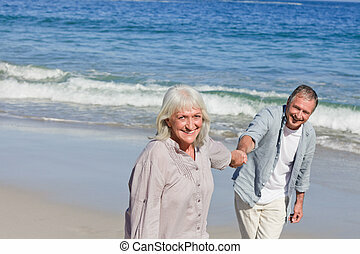 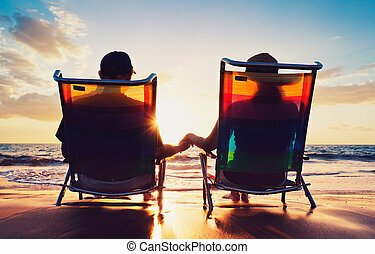 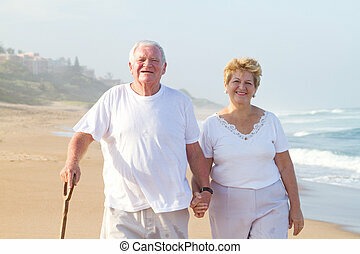 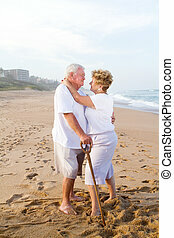 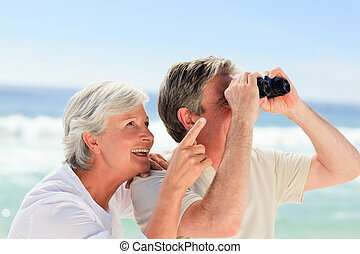 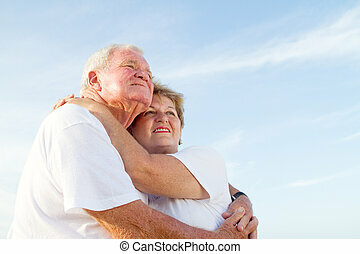 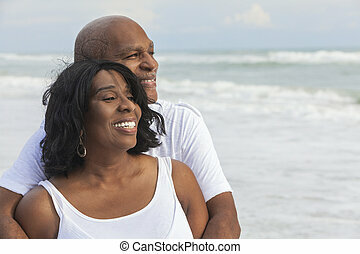 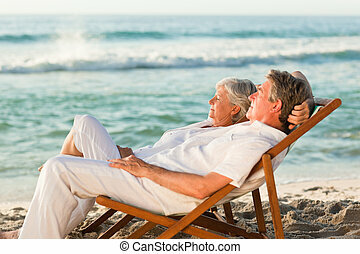 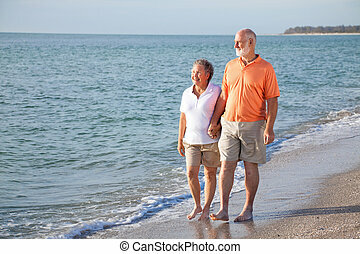 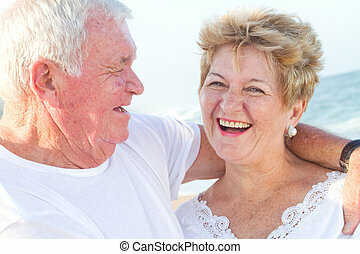 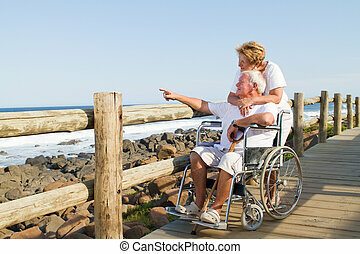 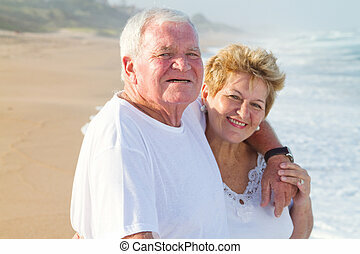 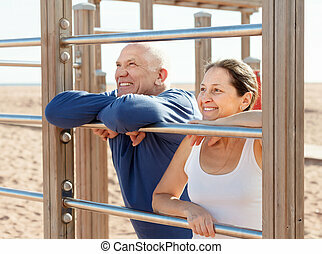 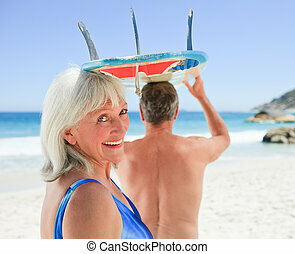 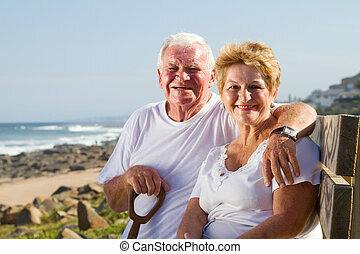 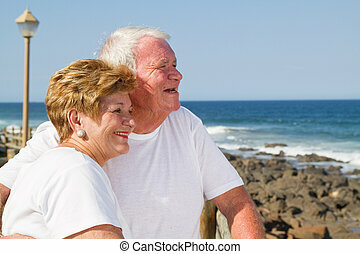 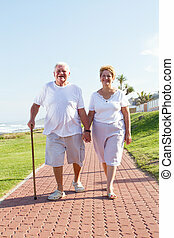 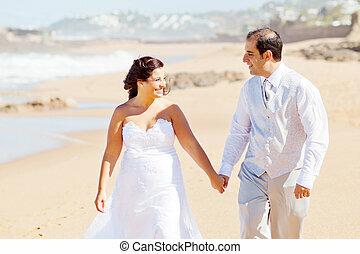 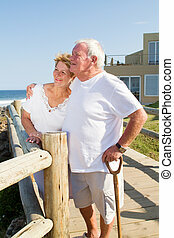 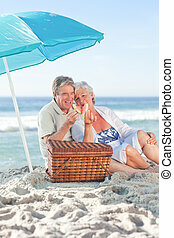 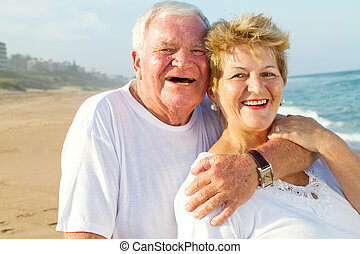 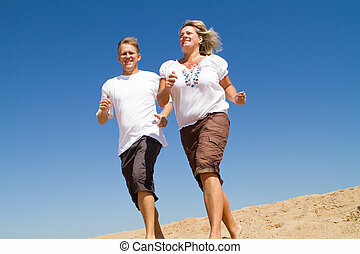 Happy senior couple enjoys a romantic stroll on the beach.